Sitter sessions are held in studio with up to 30 minutes shooting time. 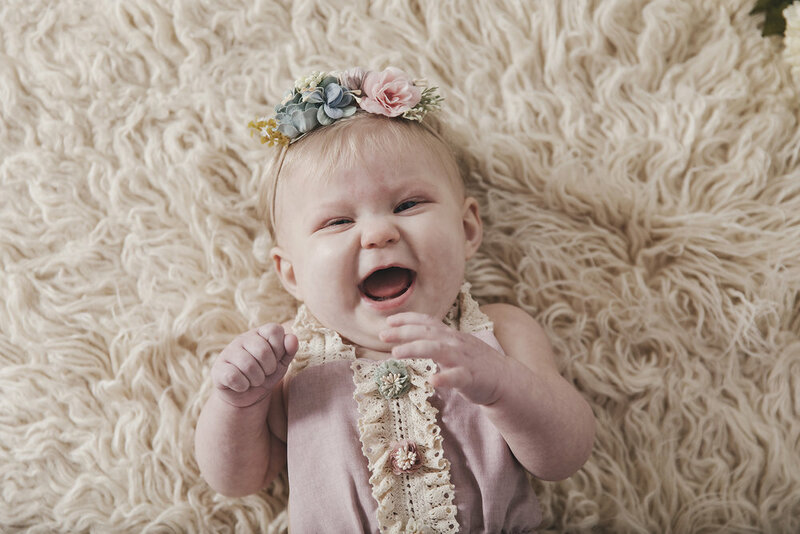 These sessions have the option to be styled with props and outfits for baby [at no additional cost] and include online gallery + print release. They intended to help document your baby's first year of milestones. That means the sessions do not necessarily have to take place at the 6 month mark. These sessions are booked between newborn and first birthday sessions, once baby is sitting or lifting their chest off of the ground. [Inquiry about pricing for The Milestone Collection that offers the full first year of sessions - newborn, 3, 6, 9 and first birthday].